UFC 200 Results 9th July 2016: Ultimate Fighting Championship has reached a new milestone in the American Mixed Martial Arts tournament. 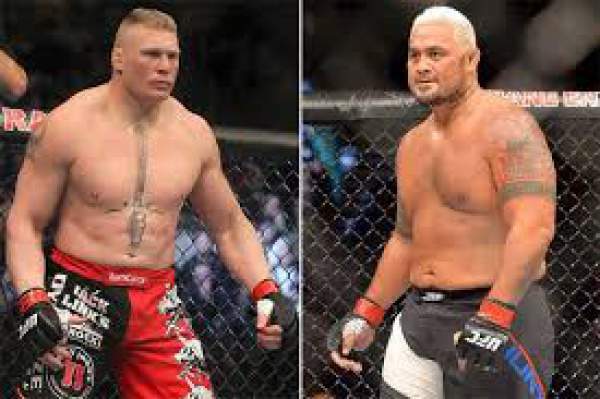 Today, WWE superstar Brock Lesnar will fight Mark Hunt at the T-Mobile Arena in Las Vegas. UFC Fight night is set to start at 3 am BST in the UK (10 pm ET Saturday night in the USA). It will be live streamed on BT Sports 2 and BT Sports app. Moreover, its live streaming will be made available on the official website of UFC. Lesnar shocked the world with his decision to return to the world of MMA as he had earlier announced his retirement from this sport. However, his decision proved to a sigh of relief to the fans. His match with Hunt is one of the most awaited ones. He is going to return to the octagon after about 5 years. Brock lasted at the top for just three years. In that period, he showed the world, why he is regarded as one of the best fighters. He won the heavyweight title two times. His MMA career record has been 5-3-0 till date. At the time of UFC 100, Brock defeated Frank Mir. That match attracted over 1.6 million audiences and made that PPV as one of the most watched UFC matches in the entire history. The 38-year-old Lesnar is one of the most famous fighters across the globe. With this UFC fight night, he will become the first ever active WWE wrestler to turn out for both the companies. As of now, Mark (the opponent for Brock) is placed at number 8 in the UFC heavyweight division. He is regarded as one fo the best kickboxers in the UFC at the present times. Moreover, he is very popular with his striking ability. Belonging to Samoa, he is known to beat his opponents with a one shot knockout. There are many people predicting the match result. Most of them said that Hunt would be knockout Lesnar in the first round itself. He will not let the fight to reach its fifth or the final round. He must the know the abilities of Brock and must be aware that if he gets overpowered by him, Lesnar will create a serious problem for him. So, his strategy should be to try and knock out him with one of his kicks as soon as the match starts. Do come back for the match result, full video highlights, scorecard, and much more. Don’t forget to share it on social media sites with your friends and other fans to let them know. Do the UFC 200 Results 9th July 2016 came out as you expected? Stay tuned to The Reporter Times for latest ufc news and updates. Next articleSultan box office analysis: Will it cross 500 crore lifetime?